Home/Healthcare/What Causes Headaches Above Right Eye? Tension headaches and migraines are common and almost everyone suffers from them in their lifetime. Some people are prone to more headaches than others due to various factors. Migraines usually occur on one part of the head while tension headaches are associated with pain throughout the forehead. Headaches above the right eye or left eye will be termed as migraines as they are most often more intense than the tension headaches. The location of pain matters a lot as it is an indicator of the underlying cause of headaches. Frequent headaches should not be ignored as they may indicate something is wrong with your health. Headaches are caused because of the release of chemicals that irritate part of the brain and interfere with nerves. What does Headache Above Right Eye Mean? Pain on either side of the eye or head is an indication of a migraine which is more intense and painful than tension headaches. Migraines may be triggered because of smells, bright lights, or even noises. Pain above the right eye may be related to a migraine which may worsen over several hours. Other symptoms relating to such a migraine may include nausea, vomiting, irritability, depression, vision loss, speech problems, dizziness, eye pain, diarrhea, or neck stiffness. Migraines can be sensitive to various factors including brightness, noises, and certain smells which should be avoided as they make the pain intense. Tension headaches are much milder than migraines and go away in a day or so. However, migraines may be harder to deal with as they are painful and not treatable easily. It is strictly prohibited for people prone to migraines to avoid alcohol use as it may worsen a migraine. Sweets should be avoided to avoid any unnecessary triggers as well. Sleep patterns should be kept constant so as to make the body used to it. Any sudden changes may trigger migraines which may rake linger to settle then. Apart from the most common types of headaches including tension headaches and migraines, there are cluster headaches and sinus headaches as well. These type of headaches reoccur at the same time with intense and painful episodes. These may be accompanied by red eyes unlike other types and is severe enough to affect the lives of men more than women. Sinus headaches occur because of nasal congestion which pressurizes other nerves across the forehead too. This is not actually a headache but a response of the nasal condition. Are there any Risks Factors? Women are prone to headaches most often than men because of the hormonal fluctuation throughout the cycle. The menstrual phase brings on many changes in a woman’s body which is again affected at menopause. These changes will cause frequent headaches depending on the condition. 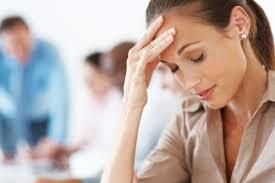 A journal study suggests that around 18% of women suffer from headaches in their lives. Also, obesity may trigger headaches as the body functions get disturbed. Moreover, some foods will also cause headaches as they trigger the nerves in the head. Caffeine is also known to trigger headaches more often in people suffering from regular headaches. Migraines are usually passed on with genetics which may be the reason for many people. Headaches above the right eye or left eye are most common with migraines. It is observed that people suffering from regular migraines cannot perform daily tasks proficiently which makes regular management an essential thing for them. The treatment options include taking antidepressants, birth control pills, doing yoga or exercise, monitoring a balanced diet, taking enough sleep, meditation and taking other prescription drugs. However, if the pain does not go away after a couple of days of treatment, be sure to consult a doctor who may be able to examine your condition better and provide the right treatment.